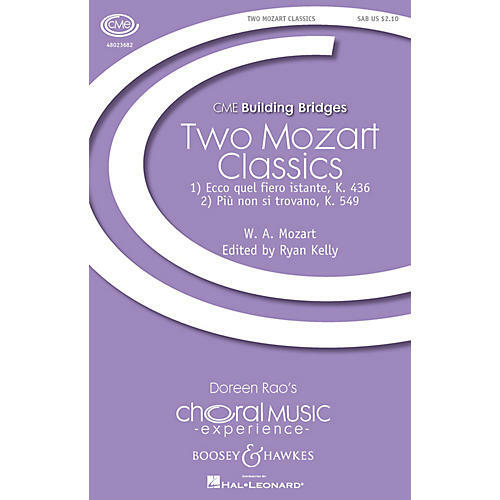 Singers will build classical era style and performance practice with these charming pieces from 1787. The editions have been adapted for piano (from the original basset horns) and include suggested tempo, breath and dynamics, as well as pronunciation guide, translations and period ornamentation. Includes: Ecco quell fiero istante (K. 436) and Più non si trovano (K. 549).